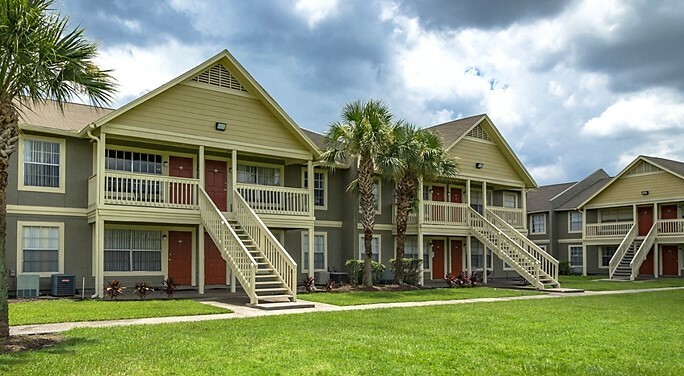 CLEVELAND, January 28, 2019 /3BL Media/ — KeyBank announced today $37.1 million in total combined financing to support the refinancing of Castilian Apartments in Orlando, FL by Dominium, one of the largest affordable housing development and management companies in the United States. The 14.8-acre workforce housing multifamily property features 17, two-story residential buildings with 304 garden-style apartments. Castilian Apartments was originally built in 1975 and renovated in 2017. KeyBank’s Commercial Mortgage Group secured a $33.4 million Freddie Mac Targeted Affordable Housing (TAH) adjustable rate mortgage (ARM) loan. The non-recourse first mortgage loan is structured with a seven-year term followed by a 30-year amortization schedule. KeyBank’s Community Development Lending & Investment (CDLI) team provided a $3.7 million Letter of Credit to support the TAH ARM, guaranteeing the difference between current net operating income (NOI) and stabilized NOI. Jeff Rodman of KeyBank’s Commercial Mortgage Group and Kelly Frank of KeyBank’s CDLI team collaborated to secure the financing for the Castilian Apartments project. KeyBank Real Estate Capital is a leading provider of commercial real estate finance. Its professionals, located across the country, provide a broad range of financing solutions on both a corporate and project basis. The group provides interim and construction finance, permanent mortgages, commercial real estate loan servicing, investment banking and cash management services for virtually all types of income producing commercial real estate. As a Fannie Mae Delegated Underwriter and Servicer, Freddie Mac Program Plus Seller/Servicer and FHA approved mortgagee, KeyBank Real Estate Capital offers a variety of agency financing solutions for multifamily properties, including affordable housing, seniors housing and student housing. KeyBank Real Estate Capital is also one of the nation’s largest and highest rated commercial mortgage servicers. KeyBank Community Development Lending and Investment (CDLI) helps fulfill Key’s purpose to help clients and communities thrive by financing projects that stabilize and revitalize communities. Experts in complex tax credit lending and investing, Key is one of a handful of affordable housing lenders in the country with a platform that brings together balance sheet, equity, and permanent loan offerings. For its ability to lend to, invest in, and serve its communities – especially low-to-moderate income communities – KeyBank has earned nine consecutive “Outstanding” ratings on the Community Reinvestment Act exam, from the Office of the Comptroller of the Currency. KeyCorp's roots trace back 190 years to Albany, New York. Headquartered in Cleveland, Ohio, Key is one of the nation's largest bank-based financial services companies, with assets of approximately $139.6 billion at December 31, 2018. Key provides deposit, lending, cash management, and investment services to individuals and businesses in 15 states under the name KeyBank National Association through a network of over 1,100 branches and more than 1,500 ATMs. Key also provides a broad range of sophisticated corporate and investment banking products, such as merger and acquisition advice, public and private debt and equity, syndications and derivatives to middle market companies in selected industries throughout the United States under the KeyBanc Capital Markets trade name. For more information, visit https://www.key.com/. KeyBank is Member FDIC.